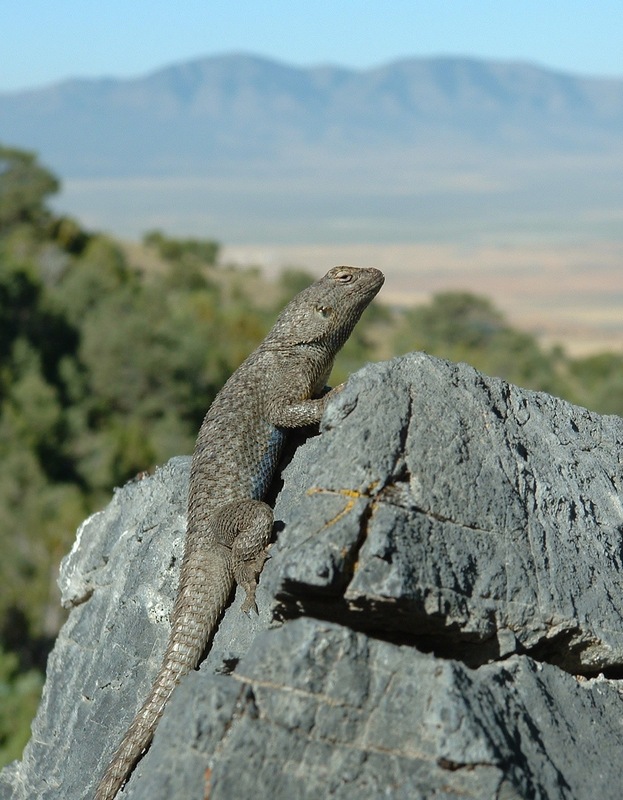 I suppose my time spent on lizard photography decreased a bit during 2012, and I paused to shoot specimens mostly when it was easy to. 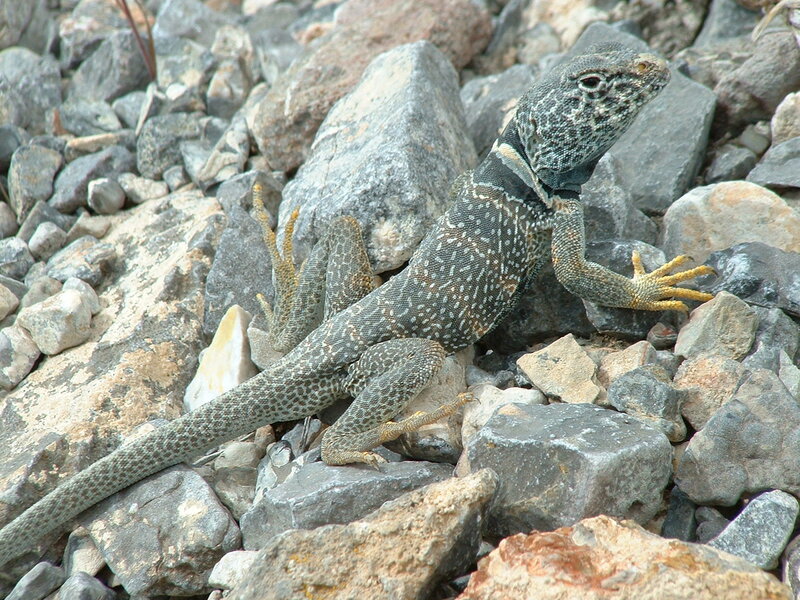 Most of these are collared lizards. 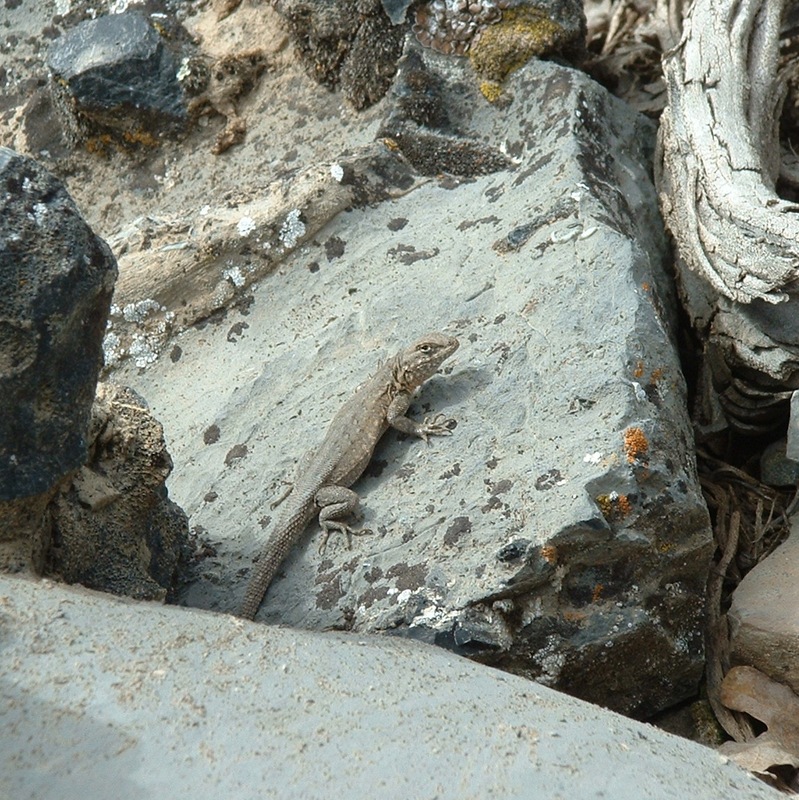 Until I got out into their habitat more, I considered this a less familiar species. 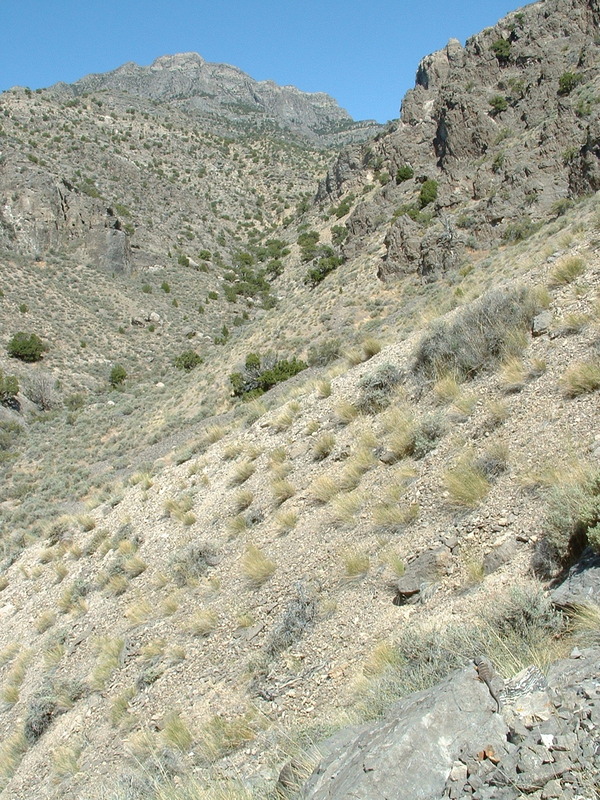 I think it’s familiar now. 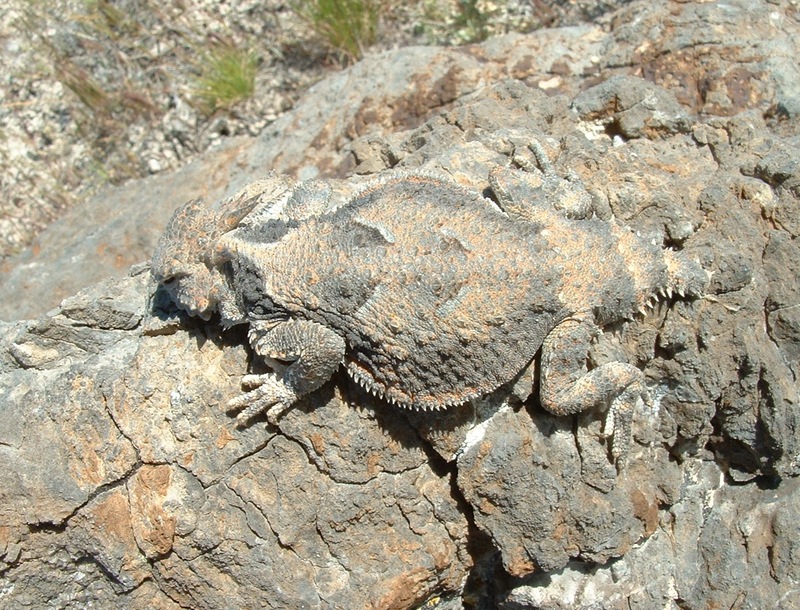 This one was basking on a rock in the middle of a dry wash. Late April is probably the earliest I’ve seen this species. 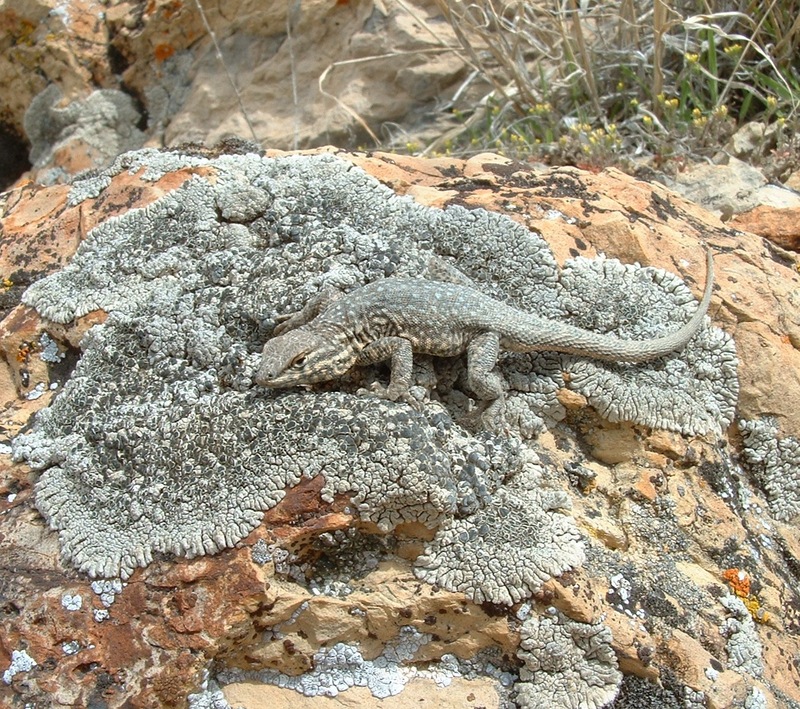 I had been to the same area on a warm weekend in late March 2012, and the western fence and sideblotch lizards were out then, but I did not see a collared lizard that early. 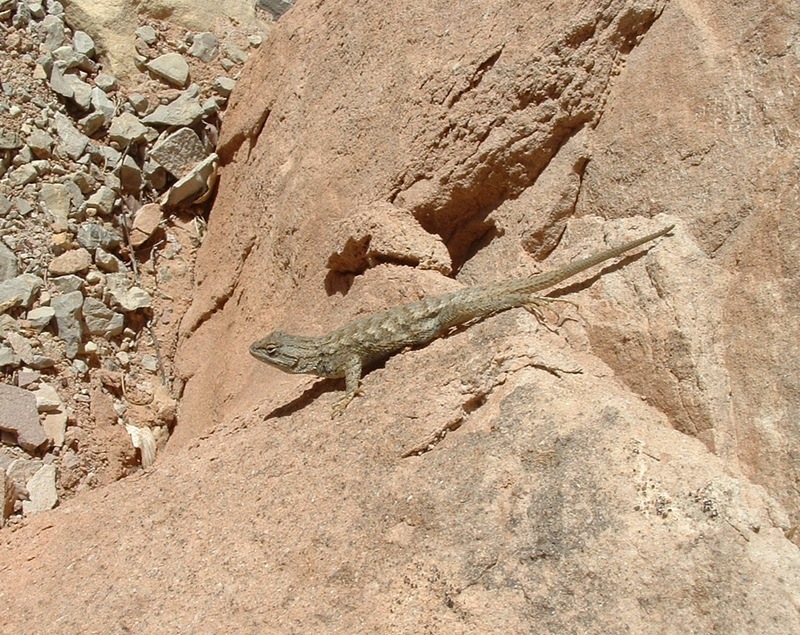 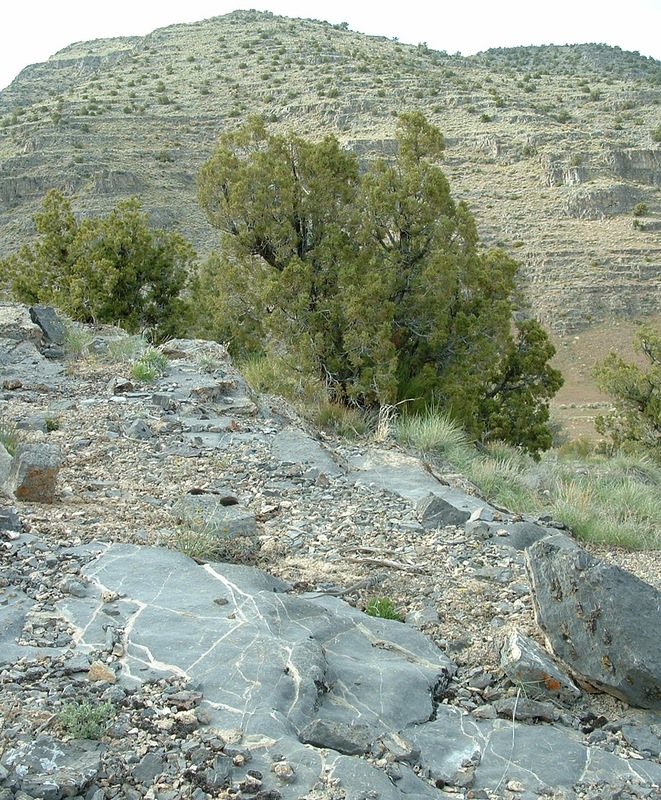 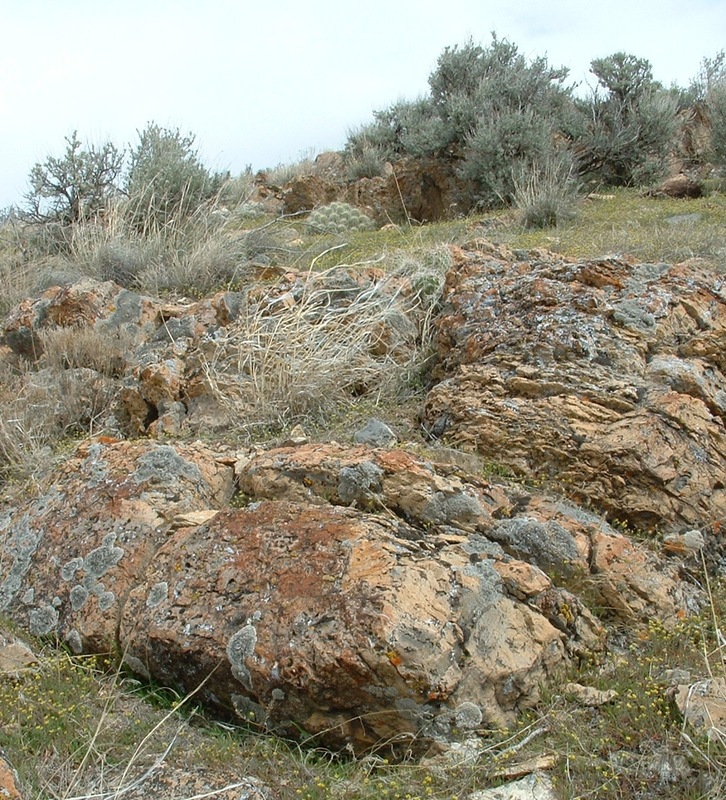 I found it here on this grassier, N-facing side of the canyon, where the smaller lizard species it preys on seem less dense than on the S-facing slope and in the canyon bottom. 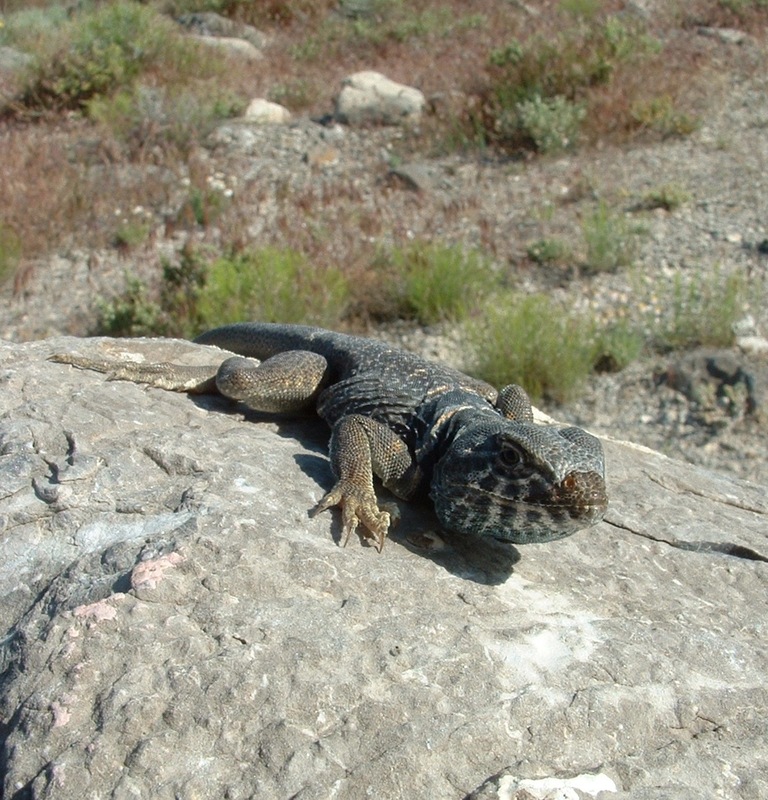 I came upon this old male perched like this, facing down this W-facing slope in the late morning. 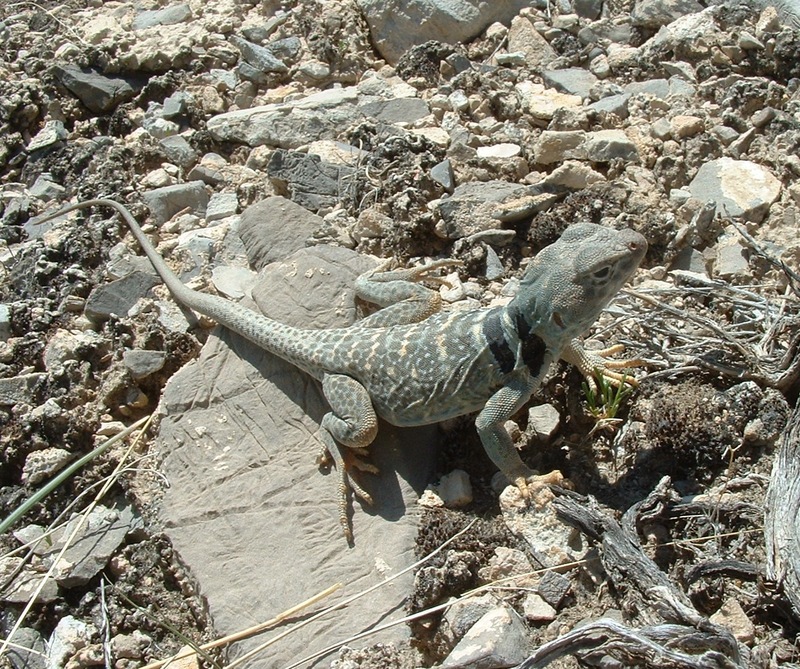 Of all this post’s specimens, this scrawny little collared lizard is the most significant for me. 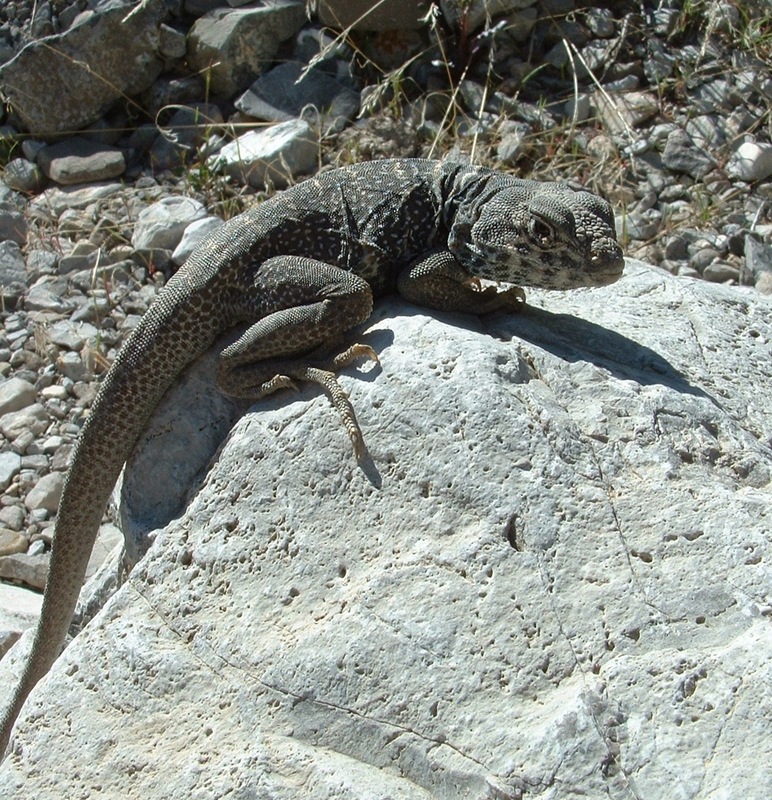 It’s my first of its species I’ve seen in the Oquirrh Mtns. 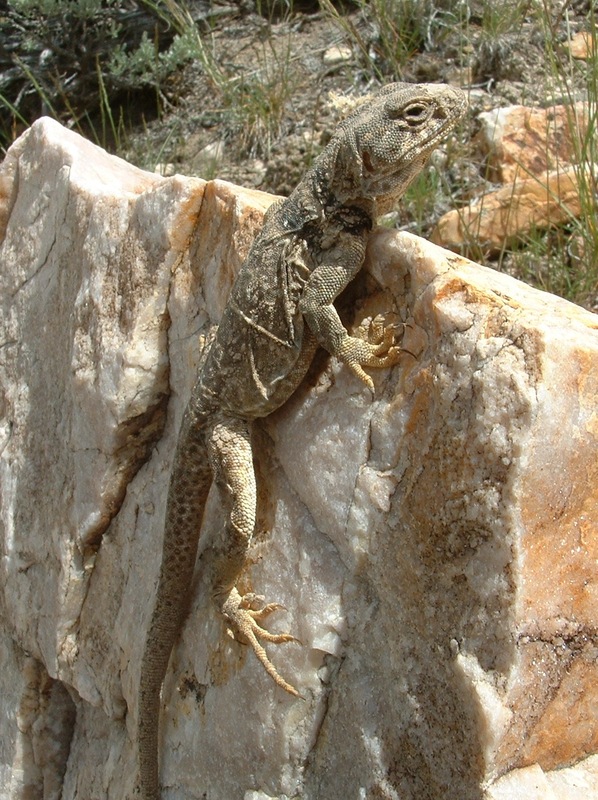 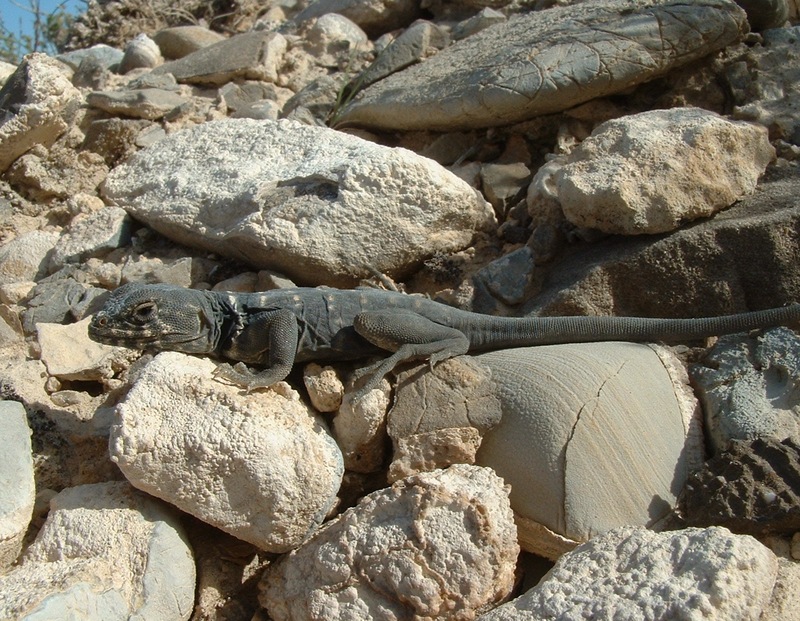 If you had asked me before seeing this one, I would have said the species probably did not occur in this area, since I’d spent enough time there to see five other lizard species but not collared lizard. 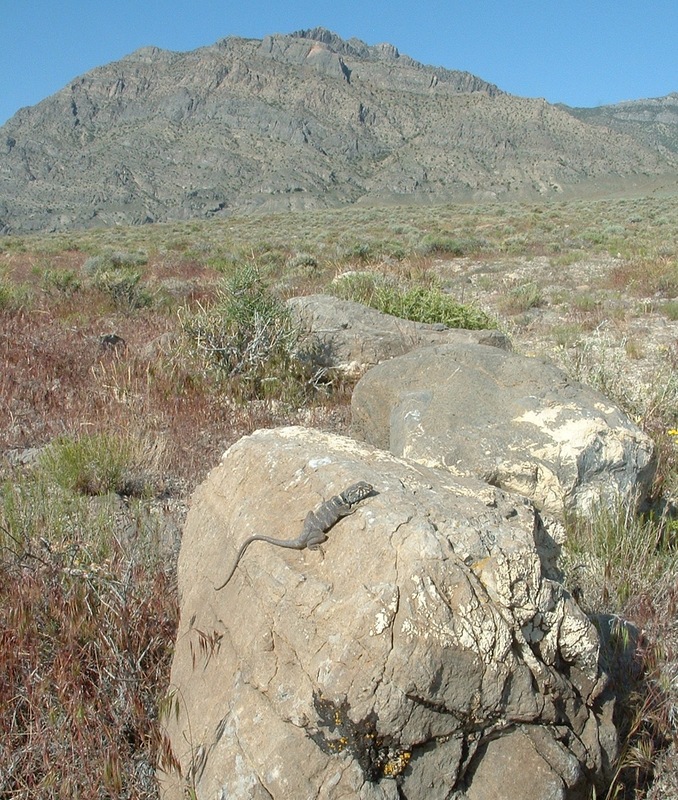 But now, no longer will I arrogantly presume collared lizards do not live in the Oquirrh Mtns–although perhaps at fairly low density. 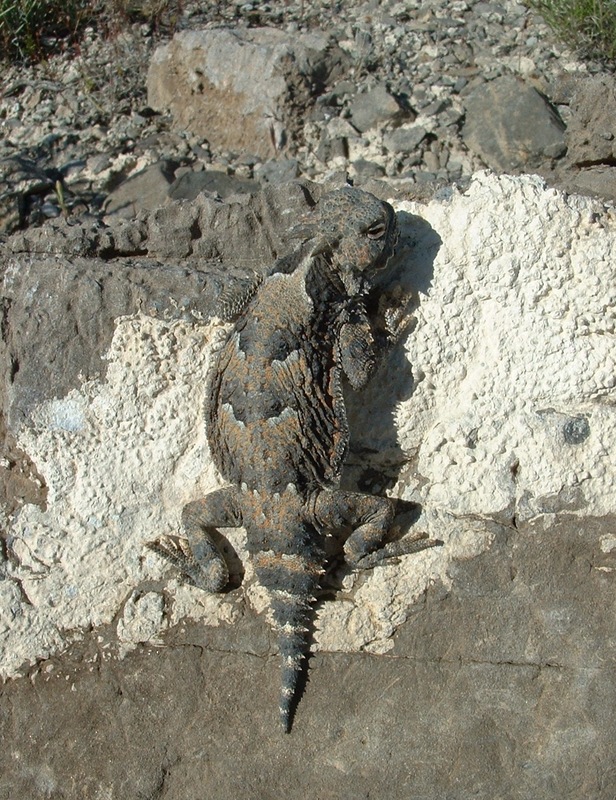 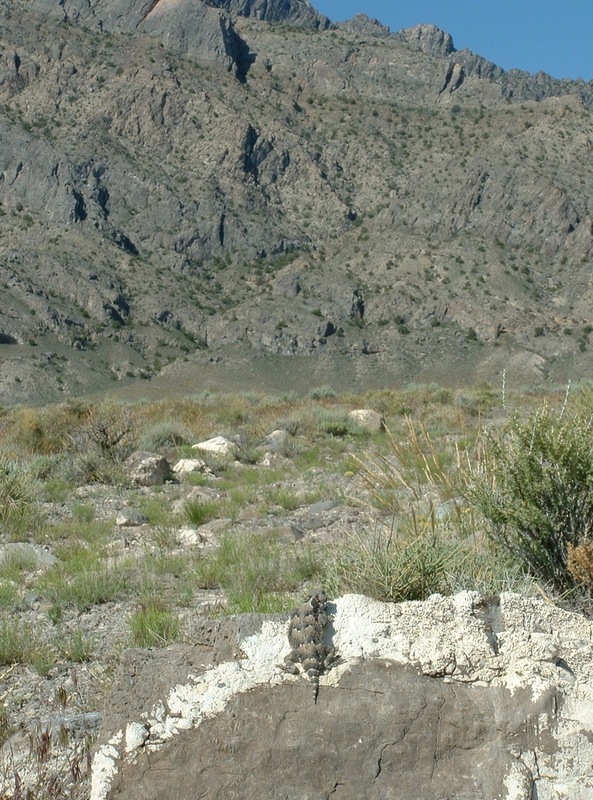 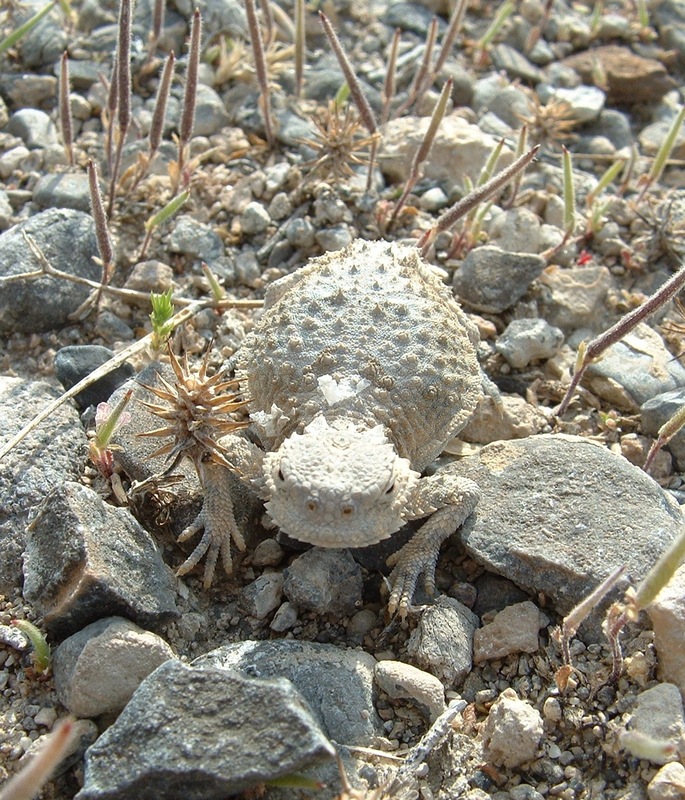 I still have not come across either of Utah’s horned lizard species along the Oquirrhs, but maybe I’ll see one of them someday. 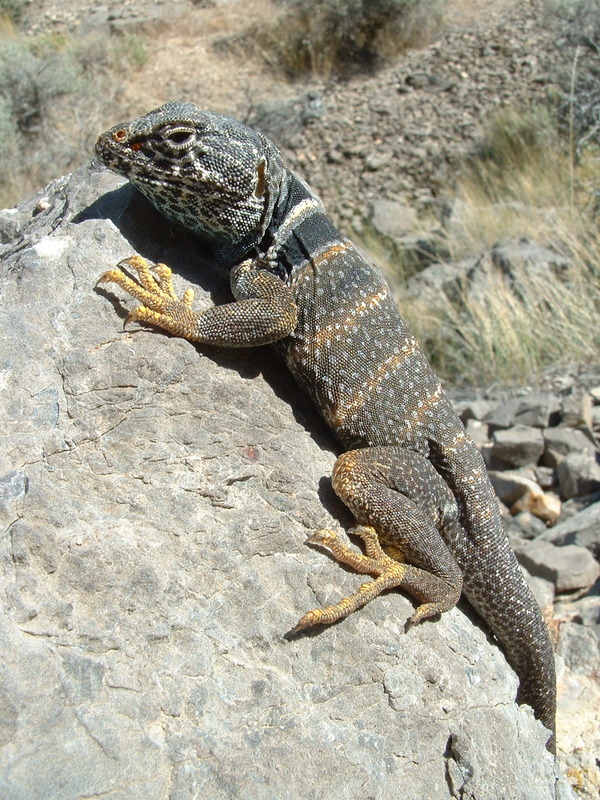 This guy had plentiful small black ticks under scales along his neck. 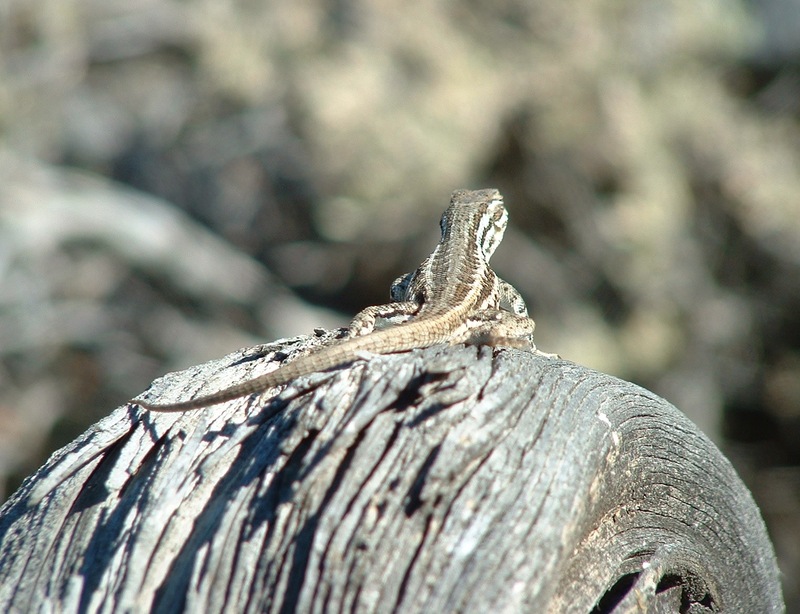 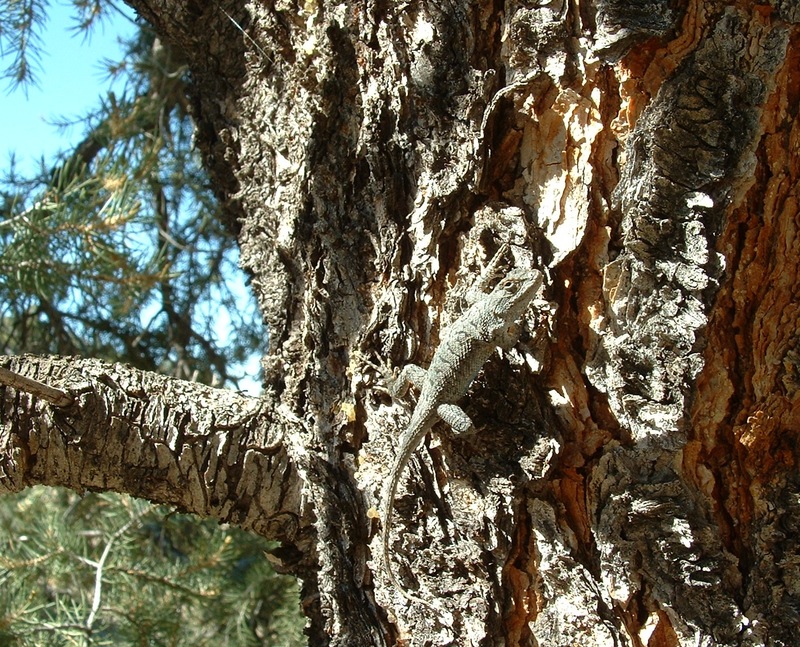 2012 was the season I learned to notice small black ticks on fence lizards in places other than the depression behind the ears. 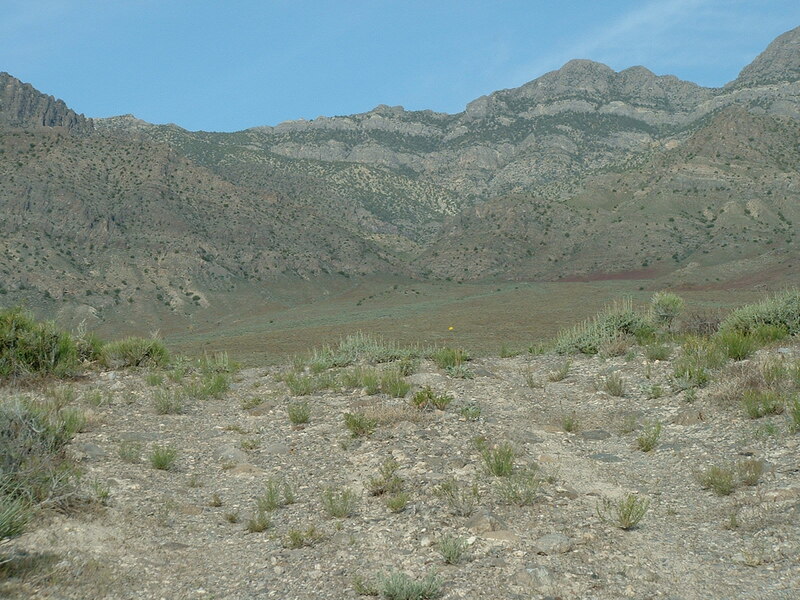 That depression is where such ticks can grow quite large. 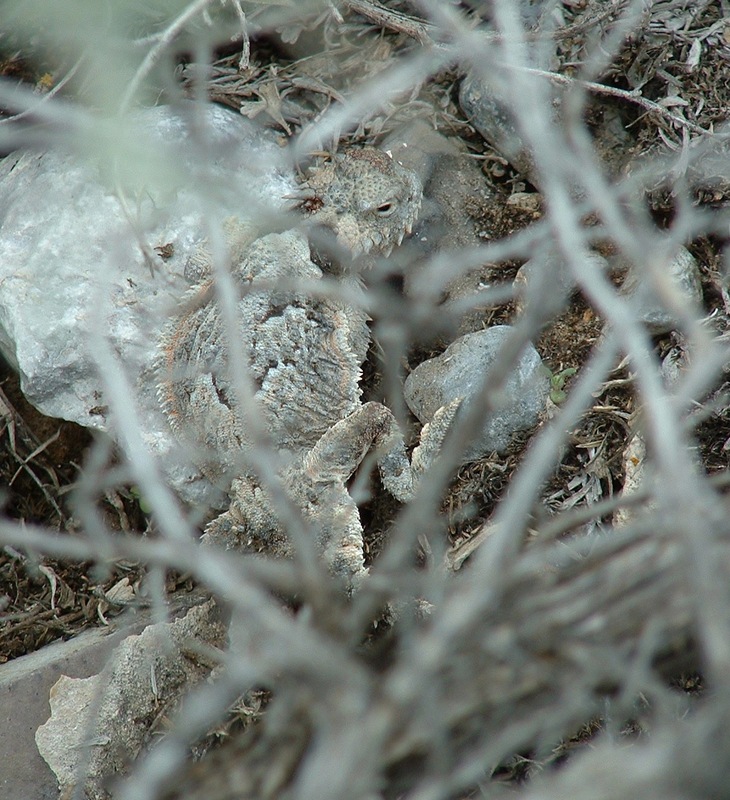 Smaller blackish ticks can occur all along the dorsum, and you can spot them by looking for protrusions in the pattern of the outer scales. 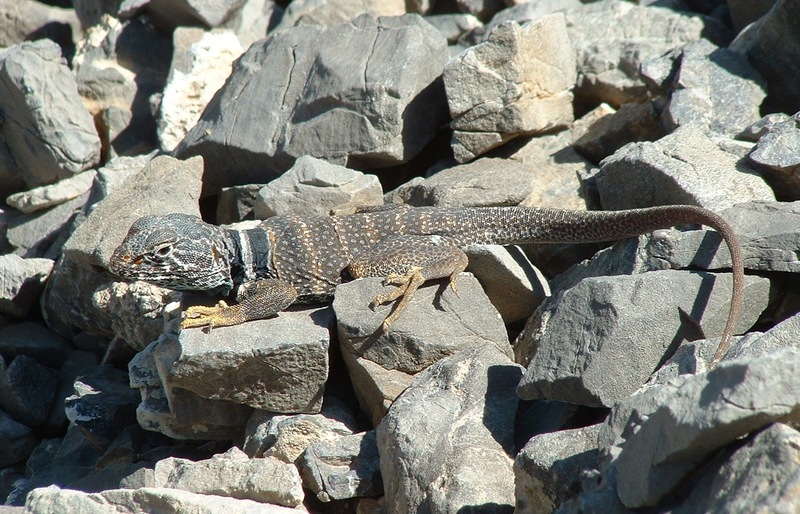 Ticks on fence lizards are more common than I used to think. 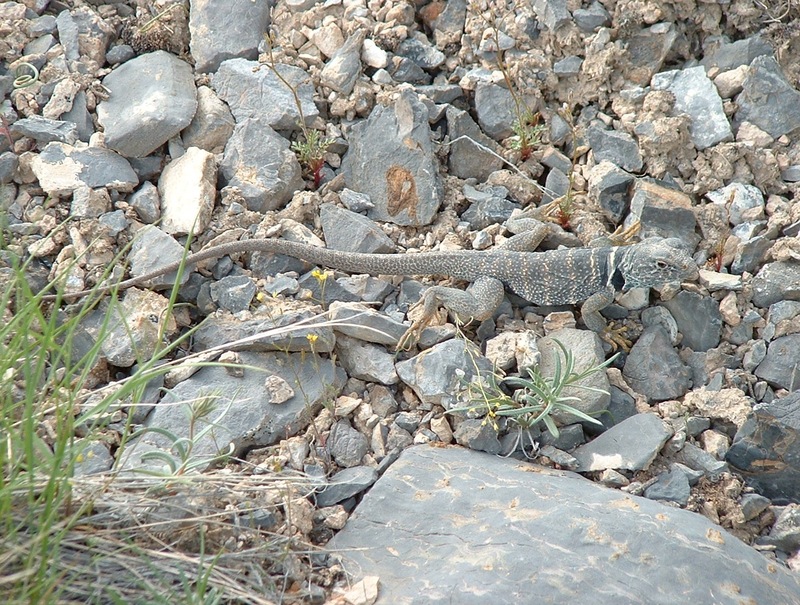 Lizards from 2011 are in two previous posts, “special lizards, 2011-2012” and “lizard pairs, 2011”; but here are some other lizards from 2011. 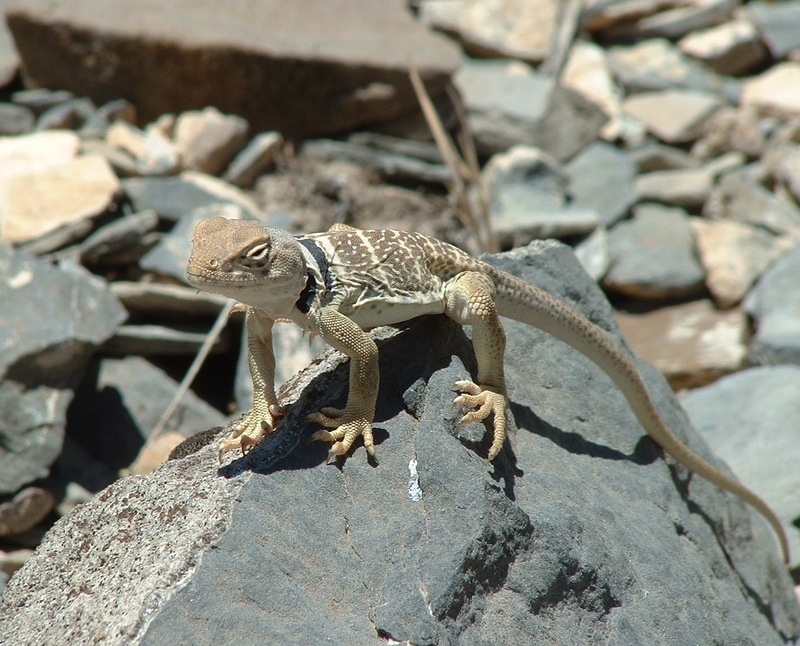 Maybe someday I’ll stop pausing occasionally to capture photos like these of easily-seen lizard species, but I have not reached that point yet. 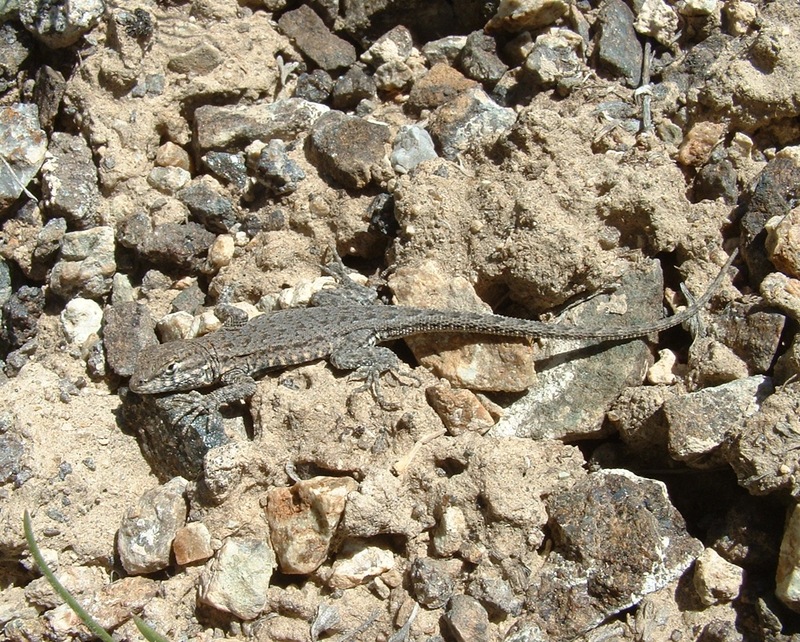 This small female is speckled with dried dirt. 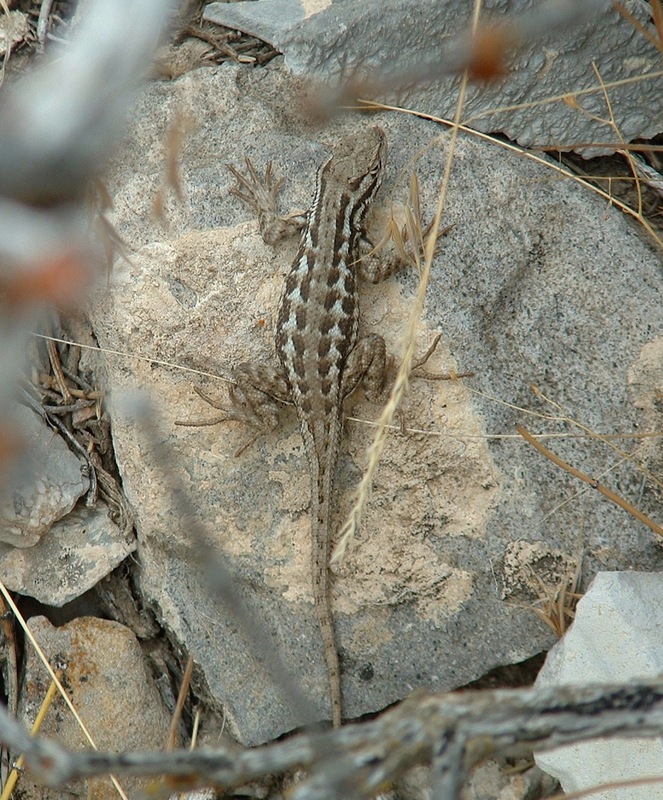 I saw 6 more of this species as I walked up a canyon–mostly adult males. 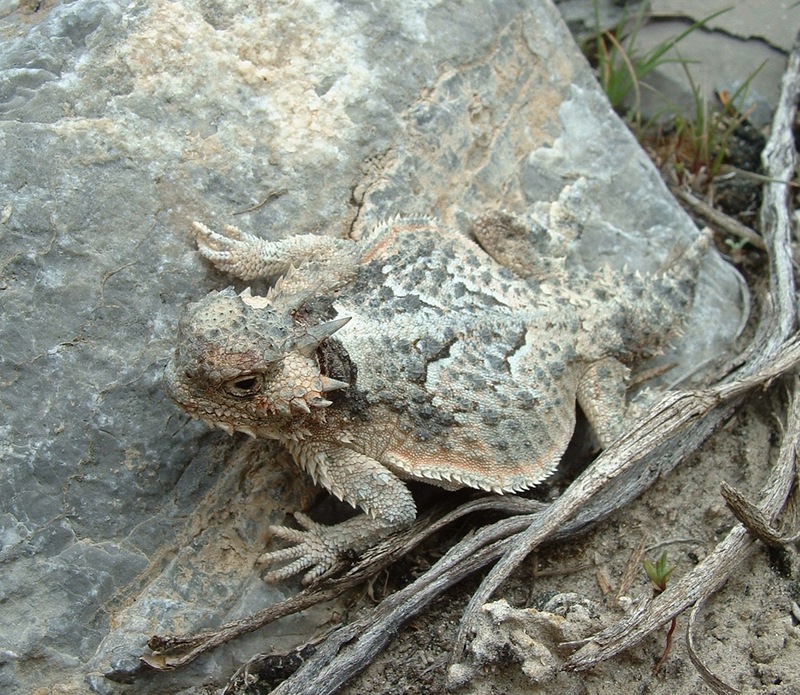 This guy taught me that you can occasionally find desert horned lizards living up at 7,000 ft elevation–the highest I’ve found one. 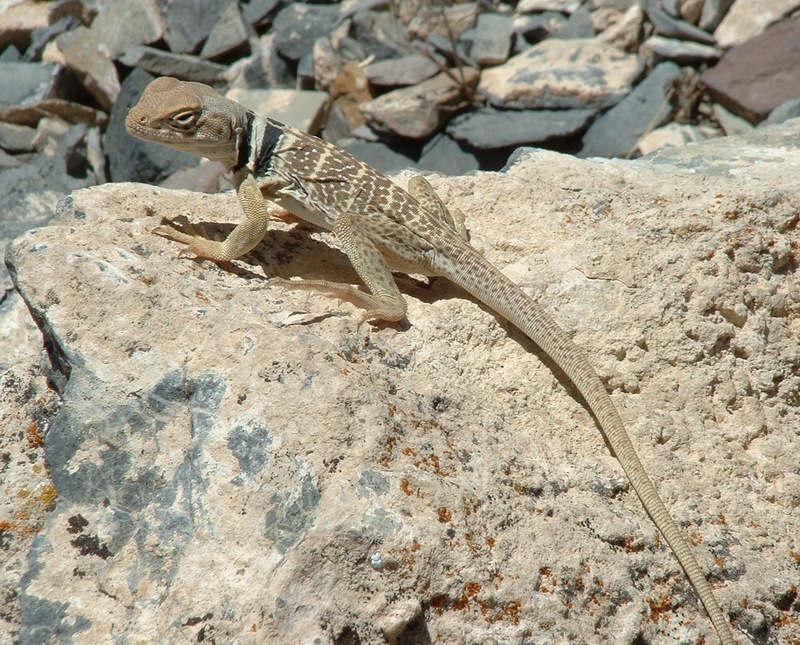 This one leans toward looking like a female, but it’s too young for me to be certain. 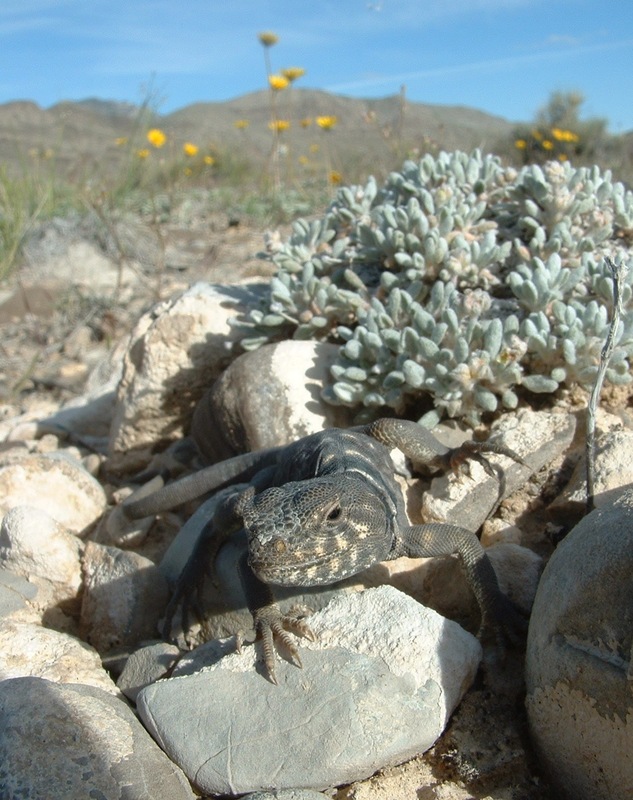 This baby collared lizard was trying to absorb the sun’s warmth at 830am in the morning when the air temperature was only 53F. 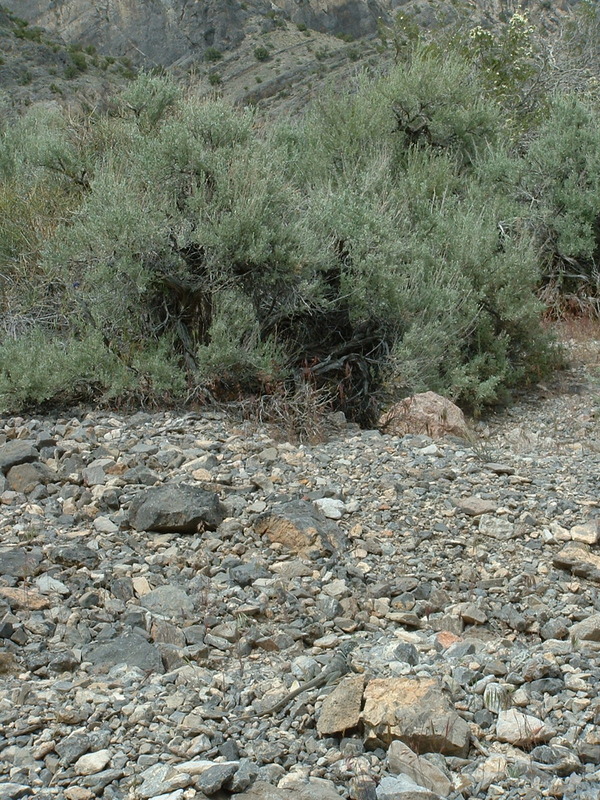 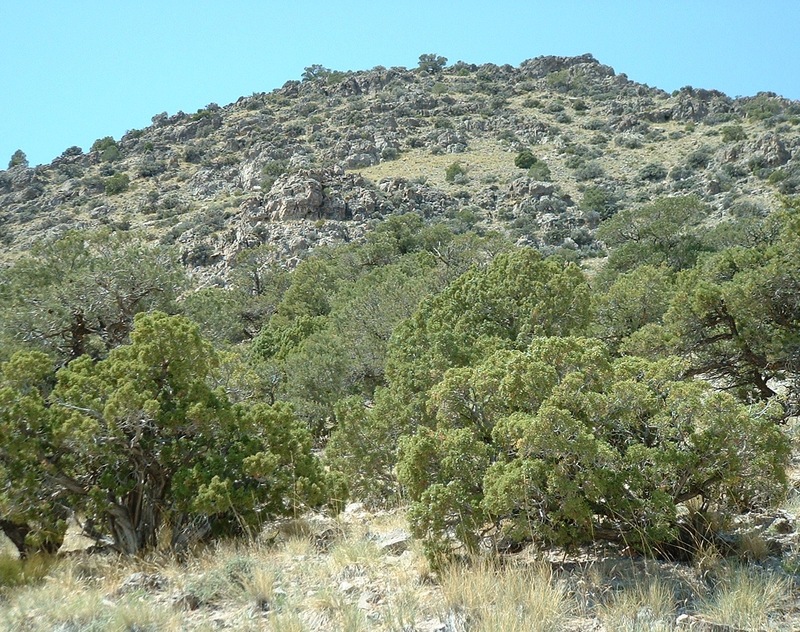 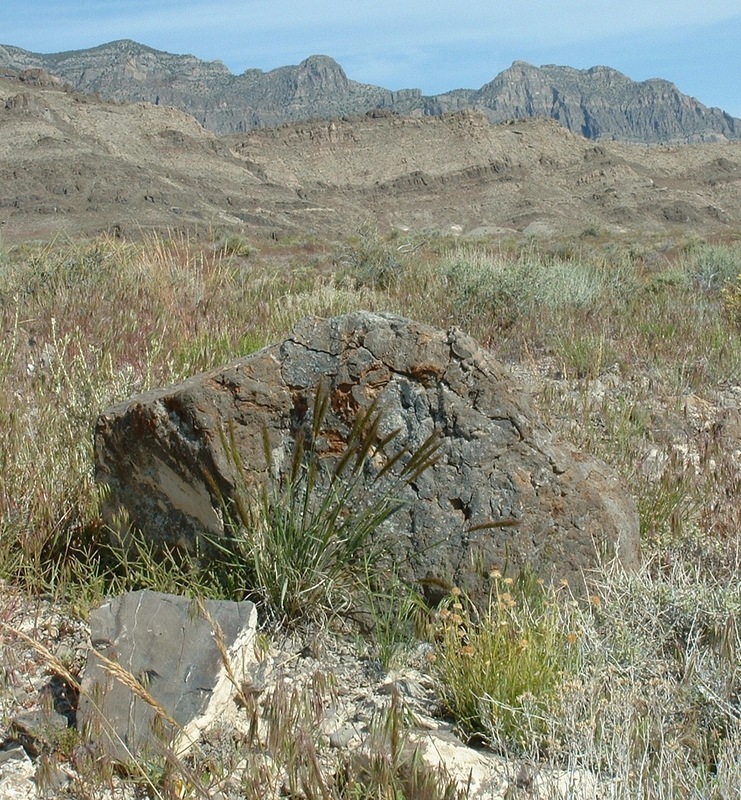 The bluish-gray plant behind it is Eriogonum shockleyi, and behind that with the yellow flowers is the aster, Enceliopsis nudicaulis.